The reasoning behind this policy clarification is that HDD shredders do far more damage to the drive platters on HDD‘s than do the bending, punching or crushing devices that were already approved. Think about this yourself- would you rather have your classified or secret HDD’s simply bent, punched or crushed? Or would you feel more secure if they were shredded into a thousand jagged metal shards? 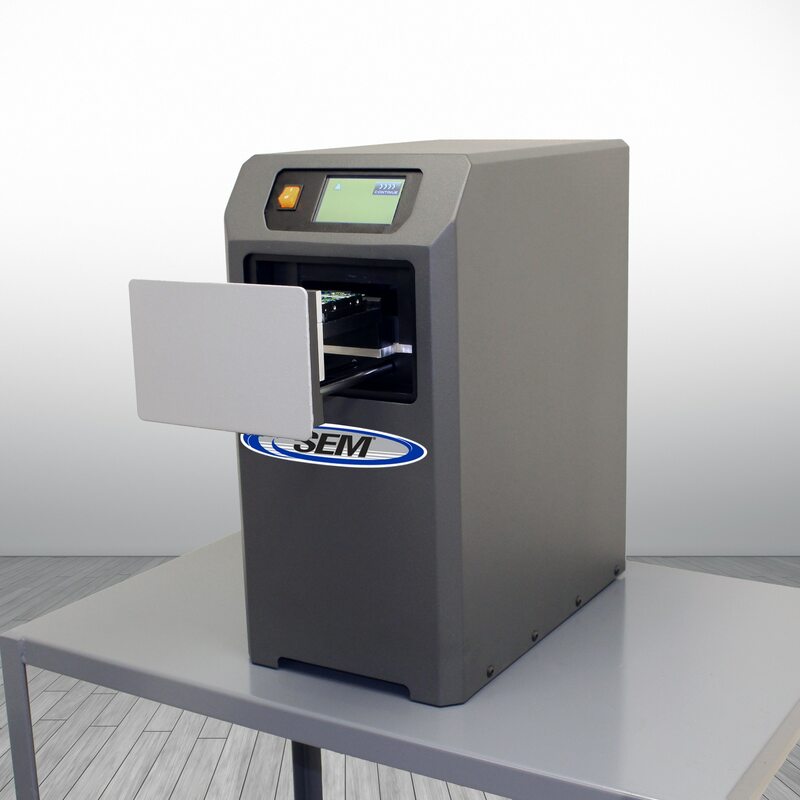 It is evident that shredding is much more destructive and yields thousands of irregularly shaped metal shards that bear little resemblance to their earlier form. At this point you are probably thinking- great-a single step HDD destruction device- not so fast! NSA also makes the point that shredding alone will not sanitize magnetic or solid state storage devices unless a 2mm particle size or less of the magnetic disc or solid state memory chip can be achieved in accordance with the NSA/CSS PM 9-12 Storage Device Sanitization Manual. This means that classified and higher HDD’s will still need to be degaussed (with an NSA approved degausser) prior to physical destruction and SSD’s, since they can’t be degaussed will need to meet the 2 x 2mm particle standard. Even though you will still have to degauss classified and above HDD’s before you destroy, the good news is that you have a much wider choice of devices. If you have a lot of drives or a few, the addition of a HDD shredder will dramatically speed up your destruction process vs the old bend punch and crush options, and give you greater peace of mind that the information is gone. 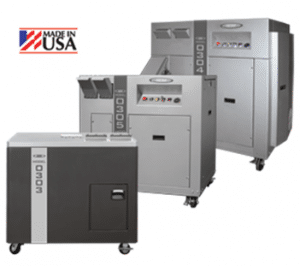 A couple of other considerations are that shredding makes it easier for your recycler to harvest the precious metals in these drives, and may be worth more to them in this form, than essentially intact but damaged, like the bend, punch and crush methods produce. I also look at shredding drives as an extra security measure. Let’s say you or one of your personal un-intentionally misses a drive or your degausser malfunctions and the drive does not get degaussed before physical destruction. If a bad guy were able to get a hold of a bent, punched or crushed drive that was not properly degaussed, chances are they could get a lot of information off of it because so much of the platter surface is intact. If that same drive was fed into a HDD shredder and came out in a thousand little metal shards, intermingled with all the other drives that were destroyed that day- there would be significantly less material to work with even if they could identify the pieces of the platters that had not been degaussed. Since HDD shredders are now approved for the 2nd and final destruction stage after degaussing, don’t take a gamble with your organization’s data play it safe and get a HDD shredder. For more information, click here to see our complete line of HDD shredders to meet every need with a variety of cut sizes, volume and feeding capabilities. We also have combo machines that can do HDD’s and (SSD’s non classified) in the same machine.